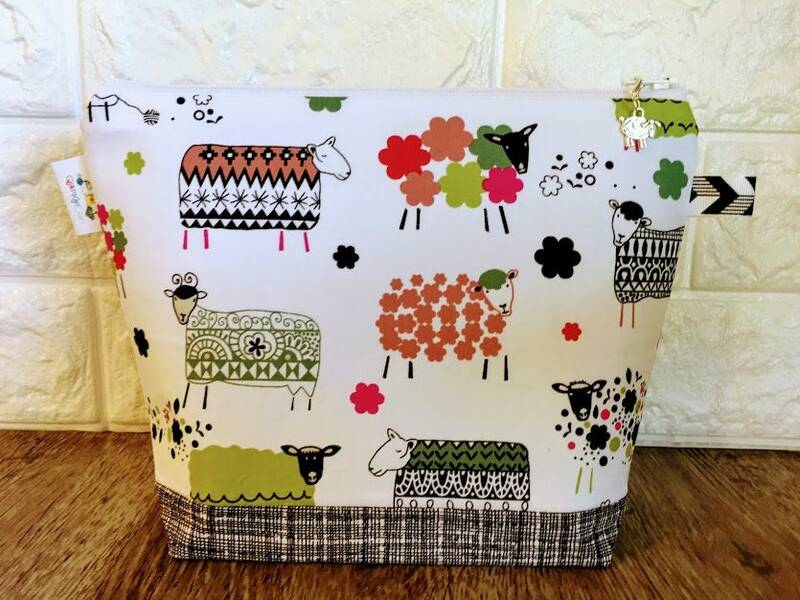 White knitting project bag featuring sheep with green trim. I love it. Even nicer than the picture! Excellent workmanship! An absolutely darling bag! The fabric choices are so cute. The bag is very sturdy and quite roomy. The seller quickly answered my questions and the product shipped in a speedy fashion. Will definitely order from this shop owner again! Nice project bag. Fast shipping. It was shipped on Jan. 2, 2019 and came this afternoon Jan. 4, 2019. Thank you! Cute bag. 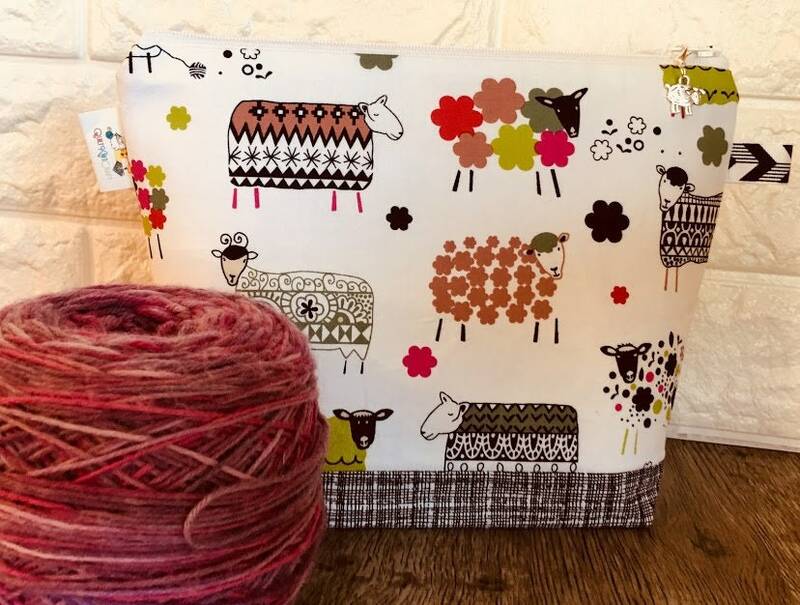 Perfect for small projects such as socks. 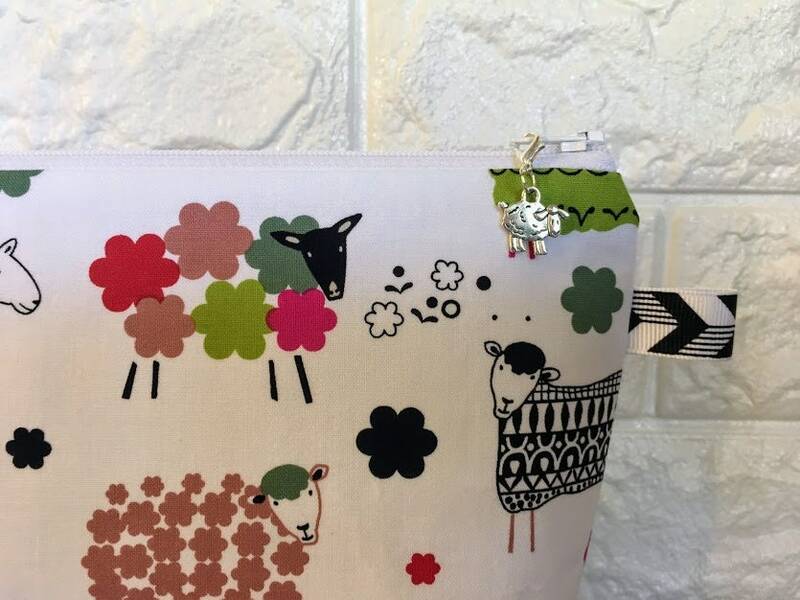 It has little extra touches that make it especially cute - sheep charm on the zipper pull and decorative tab on the side of the bag. Shipping was prompt. I would definitely buy from this seller again. 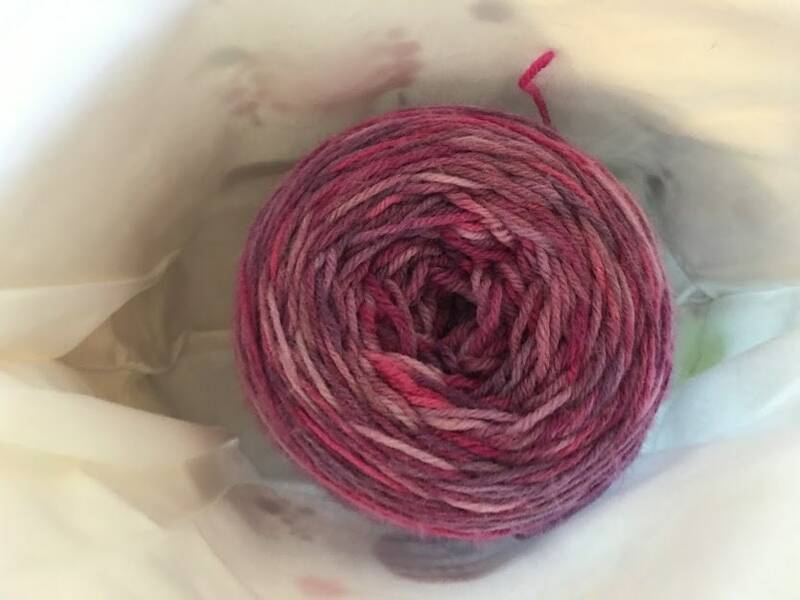 Perfect size for my sock knitting and fantastically sewn! Thanks!